1. Preheat oven to 400 degrees. Arrange the potatoes in a single layer on a baking sheet, drizzle generously with grapeseed or other neutral oil and season with salt and pepper. Roast for 35 minutes before adding the green beans and bacon to the pan, stirring to coat with oil before roasting for another 20-25 minutes. 2. Transfer to a large bowl and let the potatoes, green beans, and bacon come to room temperature before continuing with the recipe or refrigerate for future use. 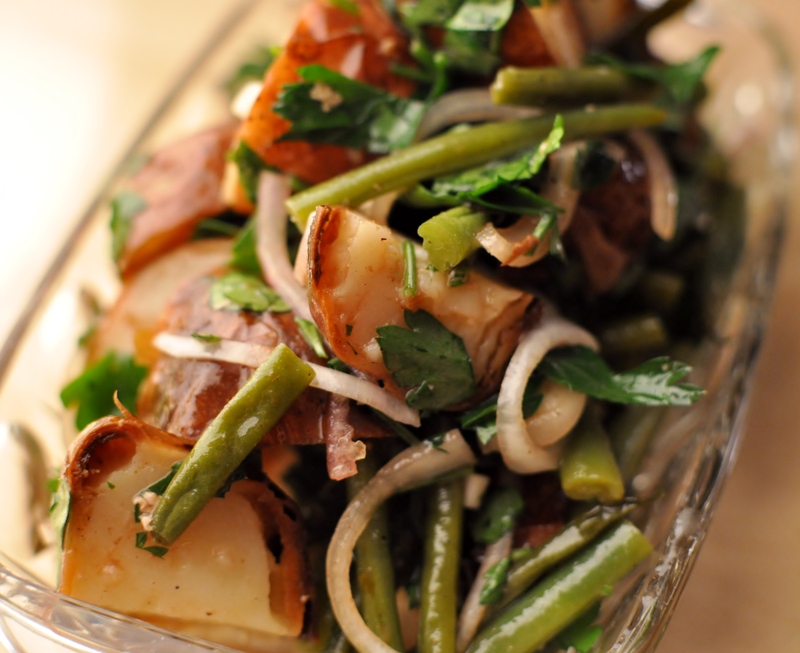 Slice the roasted potatoes and green beans into smaller pieces before adding in the shallots and parsley. 3. Whisk together the red wine vinegar, olive oil, Dijon mustard, kosher salt, and freshly cracked pepper before pouring the salad dressing over the potatoes and green beans and allow to sit for at 15 minutes before serving either cold or at room temperature. 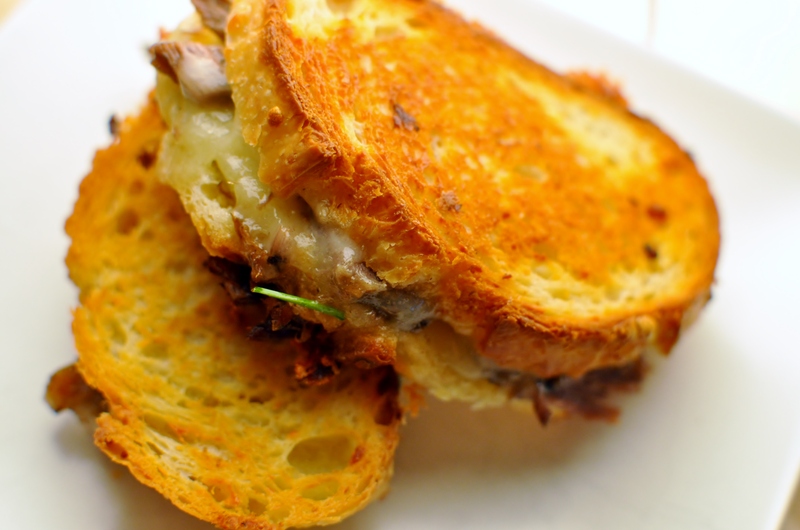 In this particular instance, I served the salad with grilled cheese made from the leftover shredded pot roast and 3 year old Isle. aux Grues cheddar.